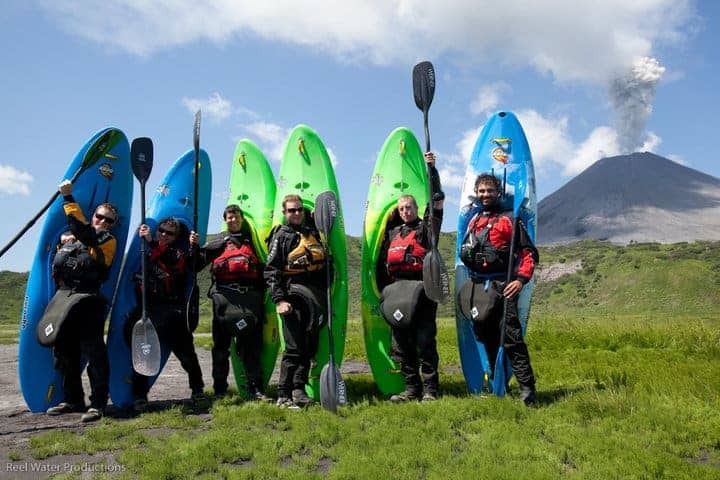 On June 28, a team whitewater kayakers set off from Seattle on an expedition to explore the Siberian mountain landscapes of Russia’s Kamchatka Peninsula. 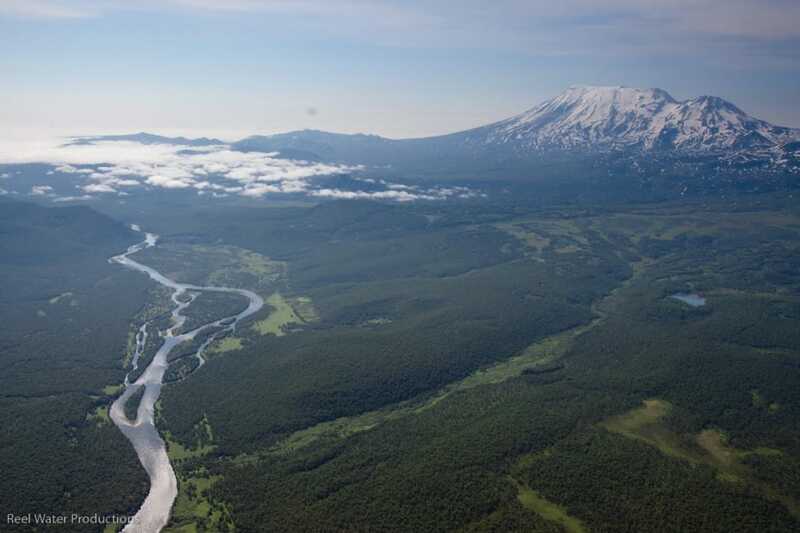 They called their mission the Kamchatka Project, and partnered with scientists, the fly-fishing community and National Geographic to expose the complex relationships between Kamchatka, its people and its fisheries. Lucky for you Tahoe Mountain Sports Blog readers, on the team was Jay Gifford (second from left in the above photo), a college buddy of mine, who took the time to answer a few questions for our Adventure of the Week series, just days before he returned home to Hood River, Oregon, in late July. As part of the project, the team filmed an adventure documentary, collected valuable scientific data for researchers and are organizing a speaking tour. So look for big things from these guys coming soon! We departed Seattle on the 28th of June and traveled for three days through 19 time zones via Moscow eventually landing in PKC (Petropavlovsk-Kamchatkiy). What’s the craziest thing you’ve seen/done so far? Where to start? Two things that pop in my mind first are our return from the Semiylicheck River and day four fishing on the Zhuponova River (seen from a helicopter in the photo above). After spending four days paddling the Semaliyach from its source to the sea, we finally hit the north pacific where we met our sailboat and Russian crew sitting in the bay. After dinner we began our 24-hour ride back to PKC. Our captain explained that we would have wind to sail but no one was prepared for the next day ahead of us. We quickly had our sails filled with 40 knots as we were tossed in the 15-foot seas. Gear came crashing out the kitchen as the crew and captain continually looked for a place to dispose of their dinner. Being tossed through out the night made me feel as if I was stuck in a pin ball machine as we weathered the storm… 19 hours later we emerged and completed our voyage back to PKC. We had been invited to film a segment of “Monster Fish” TV show with IFA, a production company working for National Geographic TV, on arguably the most coveted fly-fishing rivers in the world, the Zhuponova. On day four of the Zhuponova we had ventured as far into the canyon as our veteran guide had ever been… As our group staged in the final canyon and peered downstream we could see nothing more than crashing whitewater with a small calm pool sitting several hundred yards below. Our crew of kayakers set off into the canyon planning to radio up to our guide and film crew providing them with information and hopefully a line through the first rapid. The rapid was straight forward, but in the middle of the rapid we encountered a massive brown bear fishing with her two cubs… At this point we had seen a handful of bears on the trip, which had all quickly scurried off (to our relief) as soon as they saw us. 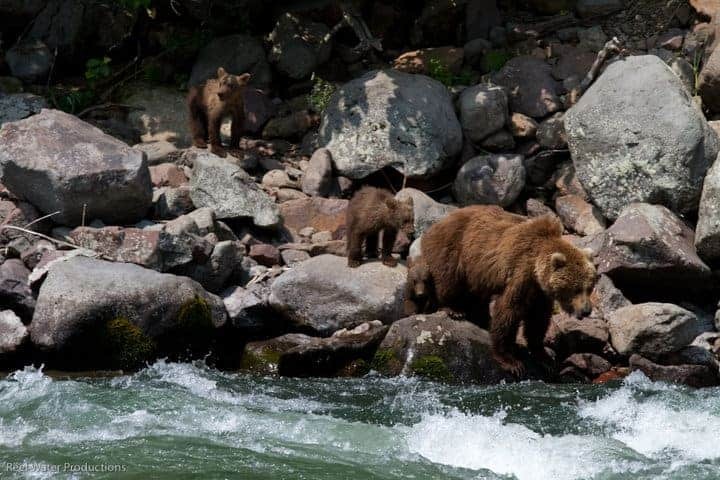 But, this mother walked away for a second and then quickly returned to her rock and continued to fish for Sockeye salmon on the edge of this rapid. We sat in amazement as this Kamchatka brown bear continued to fish as her three cubs waited patiently. After a few minutes we called down the rafts, and the mother continued to fish and provide course after course for her family. Sitting at one of the narrowest points of the river with steep walls on both sides watching this brown bear fish for her family is the most amazing scene I have ever witnessed. We remained on the bank for almost three hours watching her family fish, eat, fight and play. I still can not articulate the experience, but feel privileged to have had that time there. How does it feel to be the first group on such unexplored waters? What is the whitewater like? How does it compare to others rivers you’ve navigated? 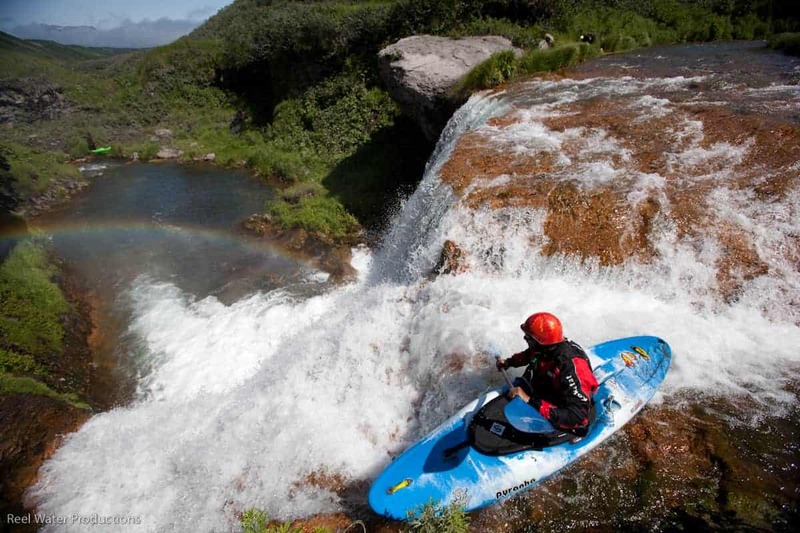 The first two source-to-sea descents that we completed were incredible! In Russia, the term would be “Классный” which translates to “classy.” Mainly a lot of great class 4-5 with the second river having a series of massive waterfalls, which would all be runnable depending on the water level. We are the first group to really dig into the whitewater of Kamchatka and have only scratched the surface of what this place has to offer. One thing is for sure, it is certainly a lot tougher to access than any river I have ever been to. The most amazing aspect of the rivers that we are traveling to is just how wild they are. I have never been to a zone that is so uninhabited! How exactly are you gathering scientific data? Any easy/quick way to describe? What are you looking forward to most about the rest of the trip? This afternoon we are flying into Kuril Lake, which is the largest Sockeye spawning ground in the world (most in one place). After our trip on the Zhuponova, I am pretty excited about fishing these two areas and the adventure that goes along with being in these incredible places… There are also a few creeks that flow into Kuril Lake, so there is also the chance that we might get to go kayaking. Are there 1-3 items of gear that you are really stoked on right now on your trip? With almost 19 hours of daylight I have been wearing my Costa Del Mar sunglasses more than I have been using my headlamp (which I did not turn on for the first 2 weeks). Outdoor Research has been very supportive of this project, and everyone has been stoked on ALL of their clothes (especially the mosquito repellent shirts) and dry bags. The gear that speaks the loudest to me is the gear that I never think about so, EVERYTHING from Pyranha Kayaks, Werner Paddles and Kokatat paddling gear. Each week, Tahoe Mountain Sports takes a walk (or hike, bike, ski, surf, climb) in someone else’s shoes, from pro athletes to local Tahoe adventurers. Let us know if you’ve got an adventure to share. Reno River Festival – Look for TMS, Keen and Outdoor Research!